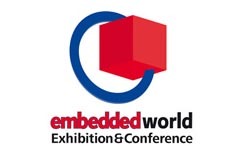 basysKom is exhibiting for the 7th time at the leading show for embedded technologies, February 28th – March 1st in Nuremberg. Visit our booth in hall 5/323 where we will be showcasing Qt and web based real-time communication and the demo Plasma Active, the customizable mobile UX for next generation devices. basysKom is service provider for the development of Embedded Linux solutions. Our customer-driven teams deliver innovative user interface/HMI design for touch-screens, quality middleware and application development and system integration to you. Targeted platforms include Qt, HTML5, Android and custom Embedded Linux Systems. As an experienced subcontractor to enterprises, basysKom is the solution provider of choice! We are looking forward to see you in Nuremberg.